A medical report compiled by the family physician of George Zimmerman, the man accused of killing Trayvon Martin was obtained exclusively by ABC News this week. The report showed that Zimmerman was diagnosed with a "closed fracture" of his nose, a pair of black eyes, two lacerations to the back of his head and a minor back injury the day after he fatally shot Martin, 17, during an alleged altercation in February. 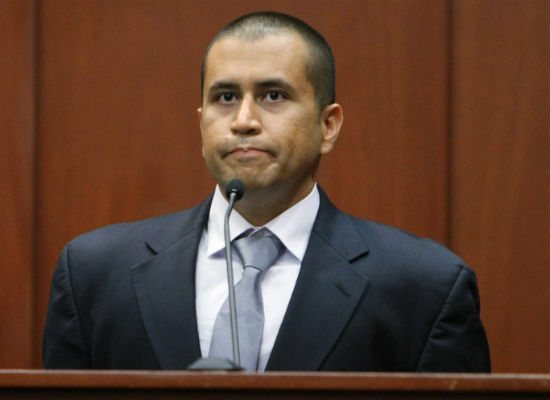 Zimmerman faces a second-degree murder charge for the murder of unarmed teenager. 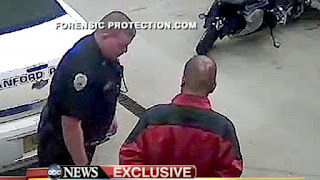 He has claimed self defense in what he described as a life and death struggle that Martin initiated by accosting him, punching him in the face, then repeatedly bashing his head into the pavement. That medical report will be used as defense in the trial along with many documents and recordings that have to show that Zimmerman was indeed covered by the state of Florida's Stand Your Ground law. The morning after the shooting, Zimmerman got medical treatment to get legal clearance to return to work. The record also shows he was bruised on the upper lip and cheek and had lower back pain. But, he also declined treatment the night of the shooting then declined follow up with an ear nose and throat doctor. This evidence may very well be in Zimmerman's favor, but prosecutors contend that he was the one that instigated the confrontation after profiling Martin, who was walking home after buying Skittles and ice tea. The prosecution says Martin was breaking no laws and was not disturbing anyone as he walked back to his father and girlfriend's home. Zimmerman was granted $150,000 bail and has been in hiding since his April 20 bail hearing. So, do you believe him now that this medical record has come out? Does this help his case?